A review of the Affordable Care Act, often called Obamacare, reveals that 1.4 million Americans will lose their healthcare insurance as a growing number of insurance companies flee Obamacare or otherwise make major changes in coverage due to the problems endemic in the law. 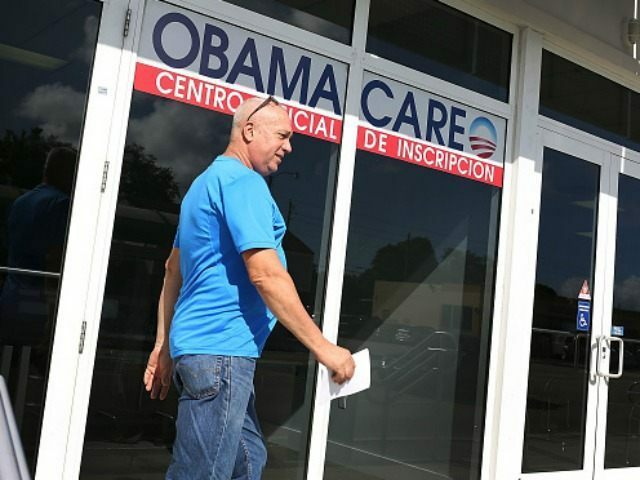 Starting next year, a large number of Americans may find their plans dropped and canceled or their coverage dwindling as insurance companies find costs soaring under President Obama’s signature Obamacare. Plans across 32 states are set to be either dropped or materially overhauled staring next year, Bloomberg reported. The crisis emerged as insurers found costs soaring due to the provisions of Obamacare, rules that have caused many companies to abandon the exchanges altogether. The most recent insurers to quit Obamacare were Aetna and UnitedHealth Group, both which announced they were abandoning Obamacare this year. Aetna, for instance, announced it had lost $300 million in 2015 alone. Aetna CEO Mark Bertolini also pointedly noted that Obamacare lacks honesty in how customers are informed about the way insurance really works. The massive changes will cause costs to rise up to fifty percent next year for those who have not lost their plans, and will also likely leave customers with fewer plans to choose from at costs that are much higher than they currently are. In addition, many doctors and hospitals will no longer be included in the networks for the lower-end plans. The losses will mostly affect individuals who have purchased their insurance plans through the Obamacare exchanges, instead of receiving their coverage from their employers. According to its review, Bloomberg found that nearly 100,000 customers per state will lose insurance in Pennsylvania, Illinois, and Tennessee. Closer to 300,000 in North Carolina will lose coverage, and more than 400,000 will be dumped from plans in Florida.